When choosing an area to live in, what is your main priority? Place your vote and we’ll update you on the results on Twitter next week. There is a common assumption that tenants are not invested in their local area and don’t care about what is going on. When the #whampforum was hosted in May it exposed the views of a minority that ‘young people aren’t invested in the area emotionally or financially because they don’t own property, so why would they care’. That’s a huge assumption and one I would dispute in my experience. Tenants have often been considered a transient part of the population, but this is no longer always the case. The tenants we let property to have researched different areas and made a choice to move to West Hampstead. Many will rent for several years in the same area and are just as invested in the local community as those who own a property. Their priorities might be different (a family who own their home are more likely to participate in the free school debate than a single professional renter) but this has little to do with property ownership. For some, renting is a stepping stone to home ownership. 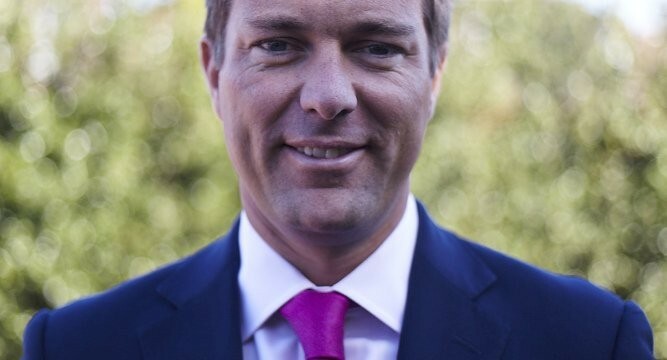 One benefit or renting is that it allows you to trial out life in an area before committing to staying for longer and this type of tenant is likely to have a very vested interest in the strength of the local community. Reasons for renting aside, considering that 44% of households in West Hampstead live in private rented accommodation (12 percentage points higher than the average across Camden), tenants are clearly essential to the future of the area, economically, politically and socially. West Hampstead is renowned for its local village feel and community. 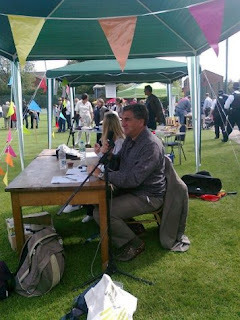 There are numerous resident groups and local organisations that are incredibly active for an area of London. West Hampstead is unique because the high street continues to thrive with popular independent shops, restaurants and cafés and tenants are essential for their future. 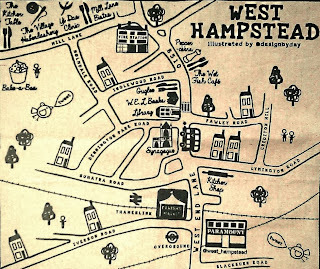 West Hampstead used to be considered the Ugly Sister of the area compared to St John’s Wood and Hampstead. Nowadays it is less of a thoroughfare and more of a destination in its own right, catering to its residents with local shops that thrive as they meet the community’s needs. It wouldn’t be right to talk about the local community without mentioning Twitter. It is an incredible source of local information (often helpfully curated by @WHampstead) and provides a resource and real life social network for those new to the area. The #whamp hashtag, with its various suffixes, has solidified the community, engaging and activating local people irrespective of housing tenure. 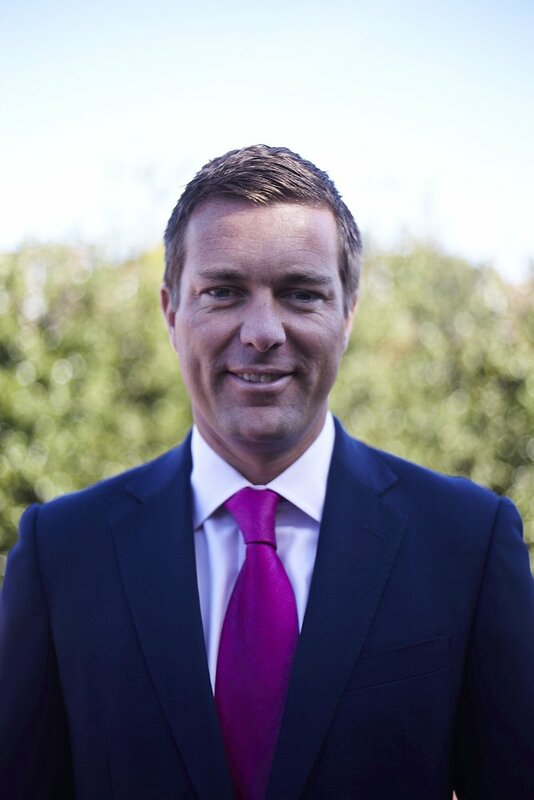 As an estate agency it has always been important to us to get involved in the local community, socially and financially. We are proud to support local businesses and have done so since our inception. We take advantage of local and independent services wherever possible; from the printers we use to the independent restaurant we have team meetings in. Last year we designed cotton bags to help launch the West Hampstead Farmers’ Market, which has become an asset to the area. Every Saturday we look out of our office window and see how popular it is, with regulars returning week after week. Due to the popularity of the bags we recently decided to print some more with a new design. 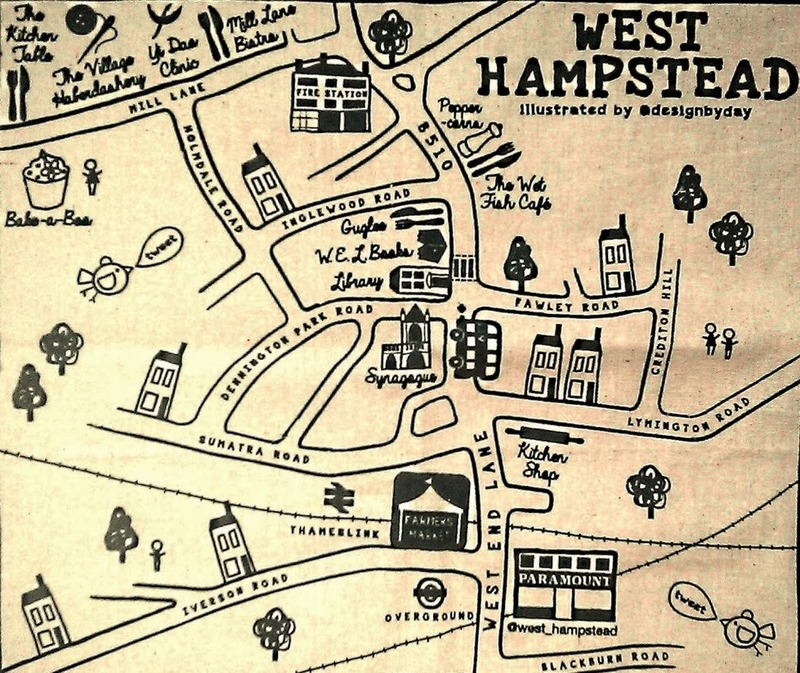 We worked with an illustrator just as passionate about the area as us to create our very own West Hampstead map, and although all of our favourite independent shops couldn’t fit on the design we hope it sums up what is special about the local community. Please pop into our office to collect your free #whamp bag. What have I missed since September 30th? What have I missed since October 7th?